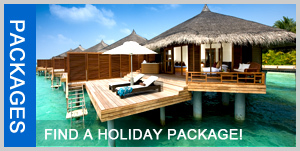 Baros Maldives, a circle of dazzling, pristine sands gently placed in the clearest turquoise waters. 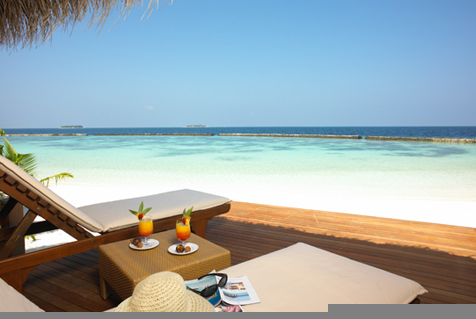 The resort is a unique blend of island amour and delightful indulgence set in harmony with nature. 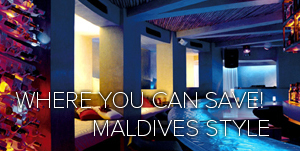 Baros Maldives embodies the essence of Maldives. It exists in total harmony with its natural environment. A harmony repeat guests – and there are many – have revealed in for years. 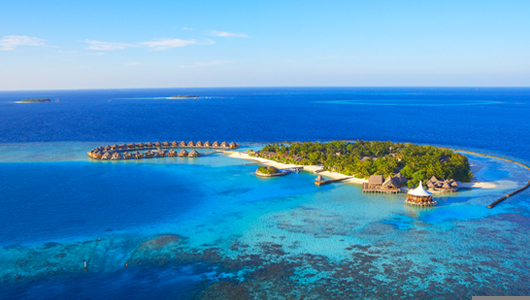 The re-conception of Baros preserves the essential spirit and soul of Baros while creating a luxury resort. 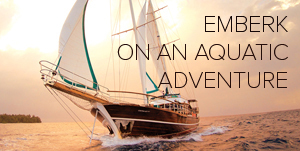 Unique experiences, original dining venues. Service dedicated to the desires of each guest, architecture that celebrates and preserves the nature. 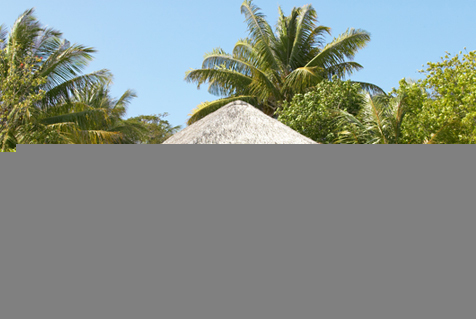 Accommodation at the new Baros is gracious and luxurious, rendered in natural elements like wood, stone and coconut thatch. 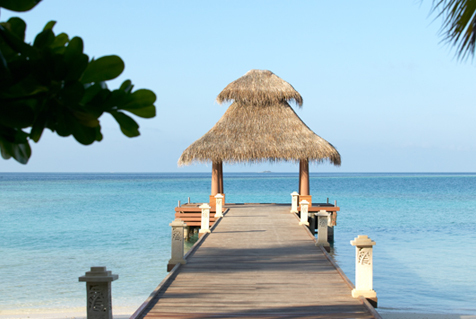 The villas are set on stilts in the lagoon or on the edge of the ocean. 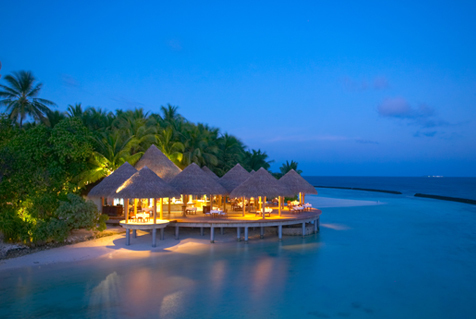 The most luxurious Baros experience. 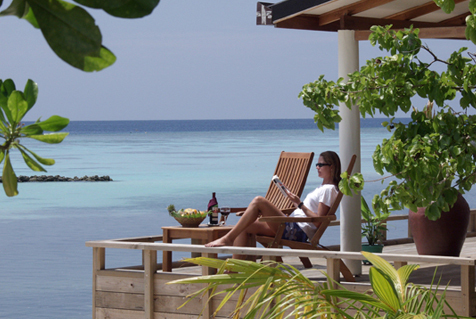 The Baros Residence is all about pure indulgence. the contemporary and sophisticated design, featuring natural tones and materials, such as teak wood, granite and marble, as well as luxury bathroom fittings and fixtures and high quality furniture create an exclusive atmosphere of well being. The private pool area with its spacious deck and outdoor rainfall shower is set in a lush tropical garden and is the Baros Residence’s ultimate personal hideaway, ideal for en-suite spa treatments or an intimate dining experience. 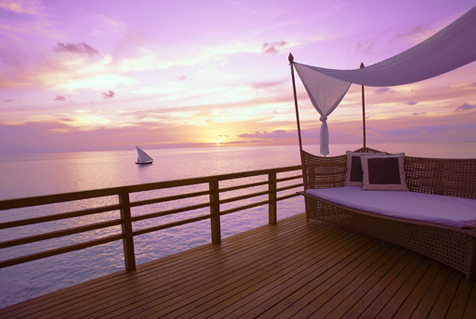 The large front timber sundeck is the place to laze on your daybed or sun loungers and enjoy the tropical setting. This Villa promises maximal privacy and generous living space including the beautiful beach in front of the room. Villa Amenities: Individually controlled air conditioning, Ceiling fan for natural ventilation, King size bed, Outdoor shower, Private Plunge Pool (7 x 3 metre), Luxury indoor shower and bathtub, Hot and cold fresh water, LANVIN bathroom amenities, Bathrobes and slippers, Hairdryer, Private in-Villa bar, Wine chiller, IDD telephone, In-Villa safe, 40″ Plasma TV, Bose Surround Sound System (DVD/CD), In-Villa CD/DVD library, Lavazza Espresso machine, Generous wardrobe space. Complimentary services: (minimum stay of four nights required) A bottle of Champagne on arrival, Dedicated Baros Residence Butler service 24-hours, In-Villa American Breakfast service, Tropical fruit platter served daily, Canapés served daily at sunset, In-Villa Express check-in and check-out, Early check-in and late check-out (on availability), Laundry service (excl. dry cleaning), Wireless and cable internet access. 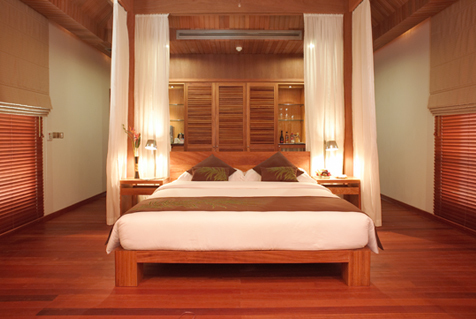 An Intimate space of your won to enjoy your chosen spa treatment, pre-treatment relaxation and post treatmentunwinding. To make the most of your spa visit, you are invited to book a private spa suite. Refresh with a splash of chilled water, then enjoy the intimate setting of your personal sala, a South East Asian pavilion.